With the ringing in of the New Year, residents of New Jersey woke up not only to a new federal tax law, but also to a change in the New Jersey Estate Tax. The estates of individuals dying on or after January 1, 2018 will not be subject to a New Jersey Estate Tax. The phase out of the New Jersey Estate Tax however does not mean estate planning is no longer necessary. Tax planning has always been only one cog in the wheel of estate planning. Veterans were granted a personal exemption from state income taxes. This tax reform package also included a phase out of the New Jersey Estate Tax. The New Jersey Estate Tax was a tax on the estates of New Jersey residents and applied to estates valued in excess of $675,000, if the individual died prior to 2017; and escrow in excess of $2 million if the individual died in 2017. As of January 1, 2018, the New Jersey Estate Tax has been completely eliminated. The elimination of the estate tax does not mean a New Jersey resident will no longer need estate planning. Nor does it mean you need to necessarily revise your current estate plan. 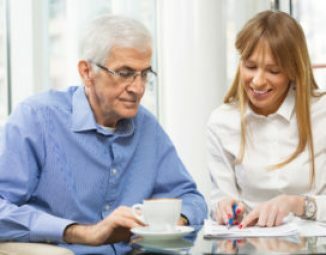 Take for example a Will which provides an opportunity for the surviving spouse to disclaim a portion of the deceased spouse’s assets into a “disclaimer trust.” Of course one reason for this planning technique is to defer the taxes until the surviving spouse’s death. However, a disclaimer trust can also be a powerful tool for addressing advanced age, financial management, subsequent remarriage or concerns about undue influence. 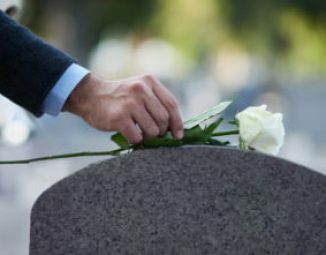 By pushing off the decision to disclaim into this type of trust until a later date, the surviving spouse is given the right to determine what is in his or her best interest after the death of the first spouse when it really matters. Further, in relation to tax planning, there is no guarantee that today’s laws will be in effect when an individual dies. In the last two decades, the tax laws governing estate taxes have been in constant flux. Constant change has become the new norm. For example, under the Federal Tax Cuts and Jobs Act signed into law on December 22, 2017, many provisions addressing the Federal Estate Tax expire in 2025. Accordingly, flexibility needs to be drafted into one’s Will (or revocable trust). Individuals with a formula-based distribution scheme based on state exemptions or the federal estate exclusion (collectively “transfer tax”) may benefit from adding language to address what happens if there is no transfer tax. Further, the New Jersey Inheritance Tax has not been phased out, so tax planning is still necessary for individuals leaving all or part of their estate to beneficiaries other than their descendants (e.g children/grandchildren) or ancestors (e.g. parents). Such distributions are still subject to the New Jersey Inheritance Tax . Tax planning will continue to be important in relation to the income taxation of estates and trusts which have higher rates and more compressed brackets than those applicable to individuals. At the federal level, for 2018, the tax rate is 37% for ordinary income of trusts and estates that exceeds $12,500, plus the additional 3.8% net investment income tax on passive income. Proper planning can minimize or defer these potential tax liabilities. 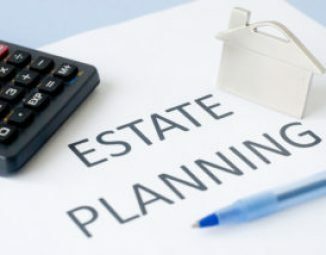 In conclusion, as a rule of thumb we recommend reviewing all of your estate planning documents whenever family and financial circumstances change significantly, after major events occur (e.g. marriage, divorce, birth of child or a death in the family) and at least every five (5) years to make sure your plan still properly meets your needs. However, with the elimination of the New Jersey Estate Tax and changes to the federal laws, a good New Year’s Resolution would be to review your current estate plan or if you do not have one, to implement one.